That’s a question we hear all too often as our store owners stuggle with the problems of shipping their goods to customers. Setting your shipping costs is one of the most important aspects to running an online ecommerce business. If you charge too little, then you may lose money on each order and if you charge too much, you may lose sales as customers go elsewhere. As incredible as it sounds, the popular ecommerce software packages available today are of little help, with most offering no more than simple flat-rate shipping schemes. If you find a service offering real-time carrier calculated shipping rates, such as from Australia Post or New Zealand Post, then the chances are that if your customers order more than 20kg of items, they’re out of luck as that’s the maximum weight that you can send using these services. Large shipping companies pay $100,000s for software to help them optimize their parcel packing because it saves them money. It’s expensive because it’s a very complicated problem and requires a lot of advanced mathematics to solve. At Spiffy Stores, we’ve solved the packing problem and we’ve added our advanced parcel packing algorithm to all stores at no extra cost. Every Spiffy Stores plan includes real-time carrier calculated shipping rates, and all orders are processed by our advanced packing software. This means that the cost of shipping every package is minimized, and that means you save money! 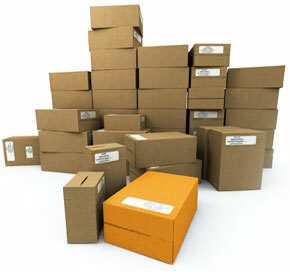 Our Advanced Packing Algorithm software is unique to Spiffy Stores and you won’t find it anywhere else. Our range of shipping options is unmatched by any other vendor, and every one of our shipping features is freely available to every store on every plan. Other providers charge extra for basic carrier shipping apps, plugins and add-ons that we provide for free! There’s simply no competition. Have a look at what the others offer and you’ll see the advantage in choosing to build your business with Spiffy Stores.